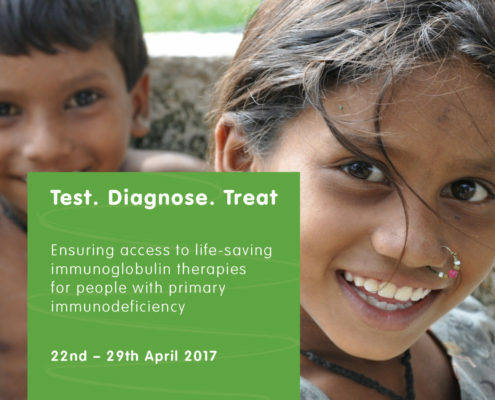 Get ready for WPIW 2017! 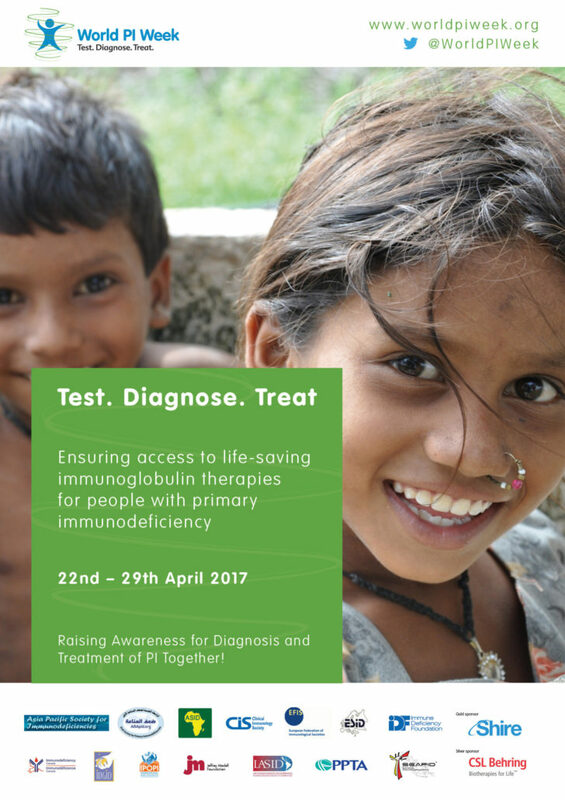 IPOPI and the primary immunodeficiency (PID) community will be holding a dedicated week to raising awareness about PIDs! 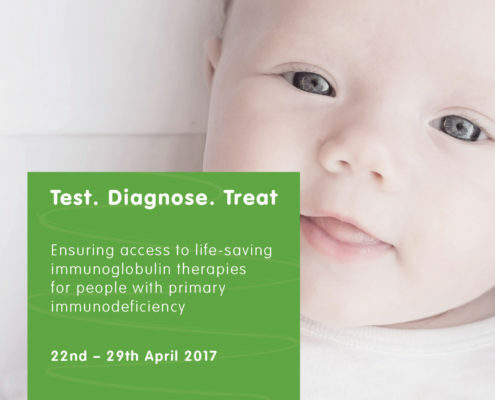 World Primary Immunodeficiencies Week (WPIW) will be observed from April 22 to 29 and all eyes and ears will be on our joint efforts to make PIDs better known and better understood. This year’s campaign follows the motto ‘Test. Diagnose. 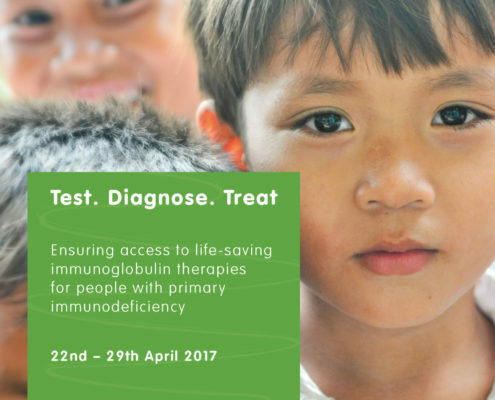 Treat.’ with a focus on replacement therapy: ‘Ensuring Access to Immunoglobulin Replacement Therapies for Patients with Primary Immunodeficiency’. 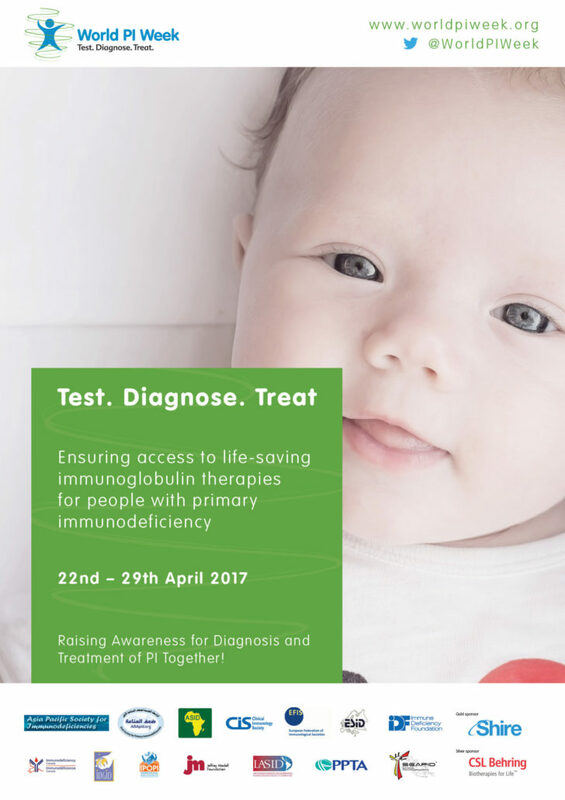 IPOPI will be organising a WPIW policy event in the European Parliament dedicated to access to replacement therapy on April 25. 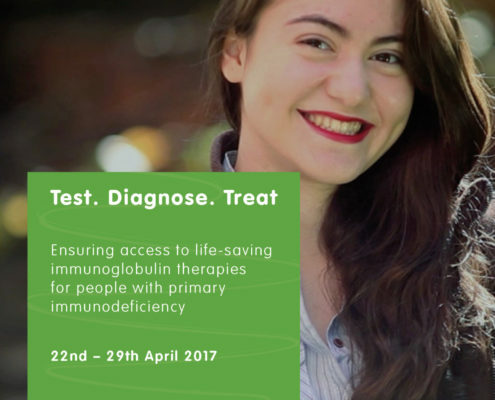 The event will be chaired by Member of the European Parliament (MEP) Dr Tanasescu and several patient and medical representatives will also be in attendance. 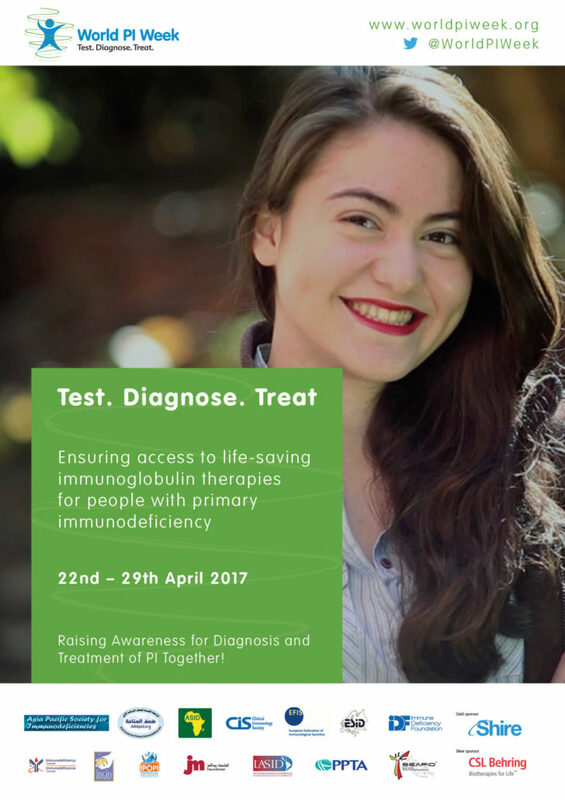 Throughout the world, people with PID, their families, healthcare professionals, researchers and other stakeholders will develop awareness actions and educational campaigns to improve access to this life saving therapy needed for a large majority of PID patients. The campaign posters also reflect a more individual perspective of the conditions. Five posters feature different people, check this article’s gallery. 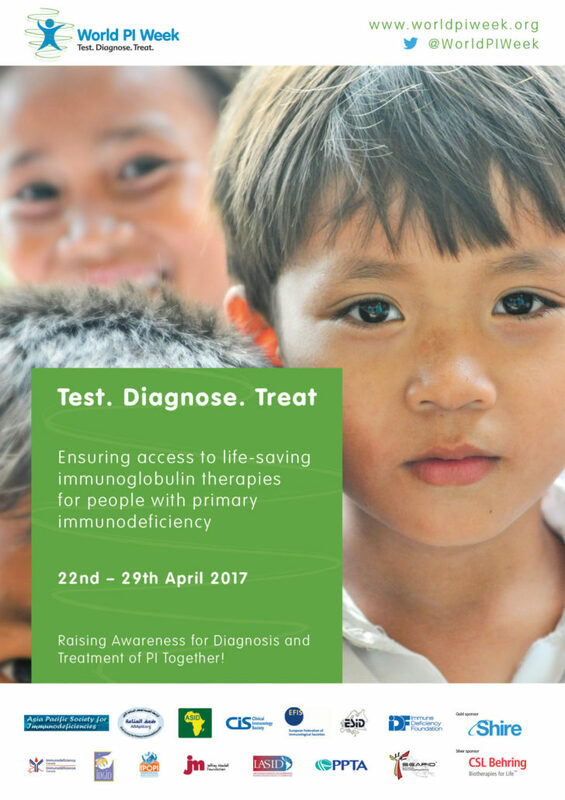 IPOPI, together with WPIW, joined the PID community in celebration of Rare Disease day on February 28, focused on the importance of increasing research in rare diseases. 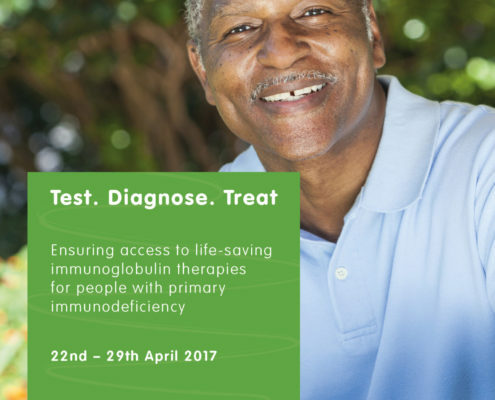 As part of the rare disease community, people with primary immunodeficiencies sometimes lack an accurate diagnosis or are misdiagnosed. 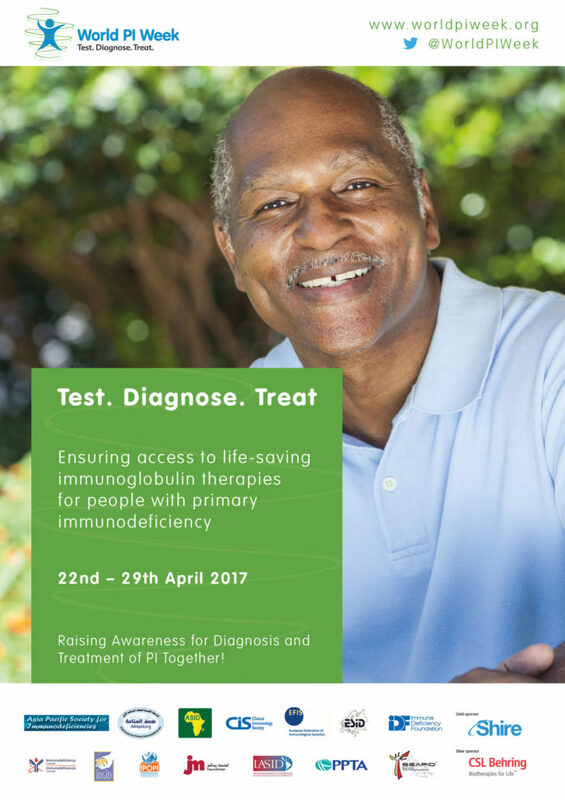 More efforts and resources should be put into research so as to ensure a greater knowledge of PIDs, their symptoms and origins as well as the development of innovative treatments that enable patients to live normal lives. Read the press release here.